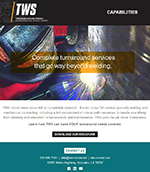 To maintain and improve the level of service we provide to our clients as a full service Specialty Welding and Mechanical contractor. We achieve results by recruiting and retaining highly qualified supervision, craft and staff professionals. Our customers can expect Safe, Productive, and Quality projects with the goal of minimal cost impact overall. 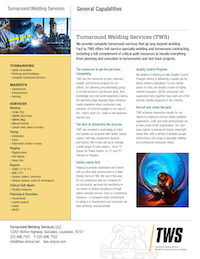 Download our capabilities sheet to learn how Turnaround Welding Services can benefit your next project. 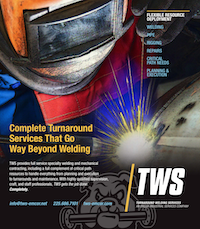 TWS President Eddie Villeret is just one of the many people dedicated to helping our clients. Eddie leads an outstanding executive team that delivers some of the most innovative solutions available today.